NEW CONSTRUCTION: Auburn Hills in Mckinney. One story Arlington plan with brick & stone exterior - Elevation B. Available for June 2019 move-in. 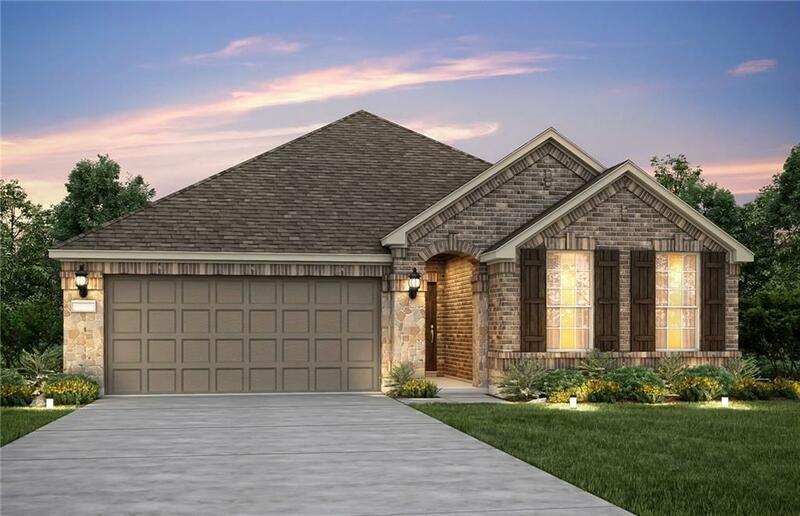 3BR, 2BA + Study + Wood Flooring + Smart Home + Covered Patio - 1932 sq.ft. Open concept layout with stainless steel appliances, 42 inch upper cabinets, pendant lights, and beautiful wall tile in kitchen. Upgraded tile & wood flooring throughout main living ares. Pendant and recessed lighting in kitchen.